Welcome to the 1st annual ColaJazz Festival! 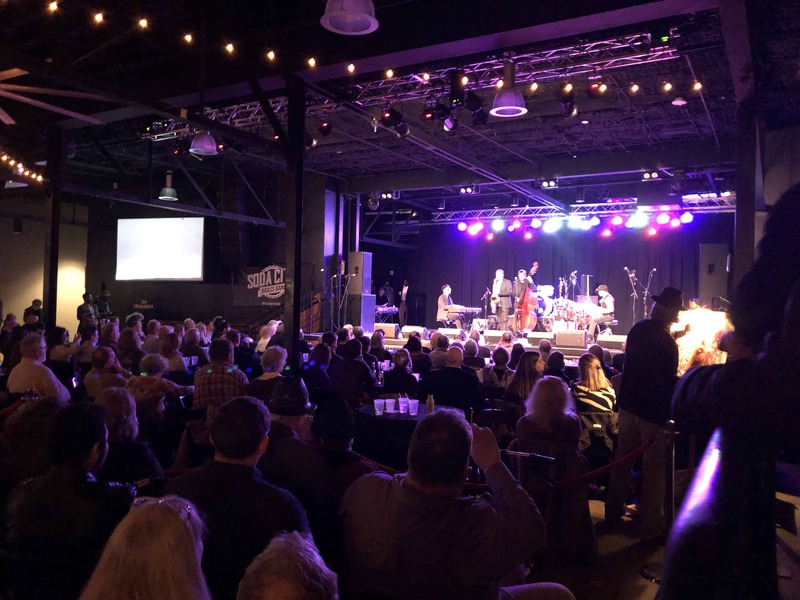 My name is Mark Rapp, founder of ColaJazz and in partnership with the Music Farm Columbia, producer of this, our 2018 ColaJazz Festival. I firmly believe Columbia, our capital city, ought to be the cultural hub offering the best in the arts. We can be and are showing ourselves to be the torchbearers to creating a vibrant arts scene. When the arts thrive, so do we all. When there is opportunity to walk down Main Street and see diverse bands at First Thursday on Main, when you can go to the Museum of Art, when you can go to a weekly ukulele sip-n-strum class, when you can have fresh farm-to-table dining, when you can see live jazz every week, when you can take painting classes, when you can experience the SC Philharmonic performing live with the Columbia City Ballet at the Koger Center, it is a strong indicator of health in the community. And when there is health, there is strength and opportunity to reach out to the areas in need. When the arts are thriving, we then have the great privilege and ability to go into schools, communities, businesses and bring life-changing inspiration, ignite creative thought, expand horizons, and create an energetic atmosphere of proactivity. With the arts, life is adventurous and fulfilling. With the arts, you constantly want to do more. So you see, this inaugural ColaJazz Festival is far more than a few hours of mind blowing jazz. You are an active part of a cultural renaissance igniting our capital city. Jazz music is an active, living music. It is a music based on communication regardless of who are, where you come from, what you believe or what you look like. Jazz doesn’t deal in the superficial. Instead jazz dwells in the deep. Jazz is a music about humanity. It teaches us not only to be tolerant of the different, but to openly explore it with genuine curiosity and excitement. Jazz teaches us how to thoughtfully handle conflict with intelligence, empathy and integrity. Jazz teaches us to be accepting of others and to work well with them. It teaches us to listen as much as we talk. Jazz teaches us the reality of constant change and how to wrestle through the tensions and releases to create something beautiful. It faces adversity straight-on and sees it through until we arrive at an exalted resolution, leaving us satisfied and fundamentally improved. Jazz demands that one always seeks to better oneself. It asks of us to speak with passion and authority, while at the same time, being immediately willing to celebrate an opposing view and humbly accept a different outcome. Jazz requires us to love. Jazz is a music you have a relationship with. Because at its core, jazz is really a beautiful metaphor for life. It is these ideals, these concepts, these characteristics of jazz that can affect real change in people and their communities. By proactively working to present live events, provide access to recordings, implement consistent and regular educational outreach programs, and so much more, we can steadily elevate our culture to ever higher levels. Last, but not least, I want to thank our sponsors. These founding supporters are brave, forward thinking, strong and boundary pushing individuals and companies who believe in our community and our artists. They acknowledge when the arts thrive, so do its people. A special thanks to Don and John Johnson of The Quest Group, llc; Warren and Terri Irvin, Leigh and Billy DuBose; and Crescent Construction.